Having recently moved within the last year, I chose to throw away the plastic cutting boards I had for years. They were getting nasty and I felt like pieces were breaking off into my food. 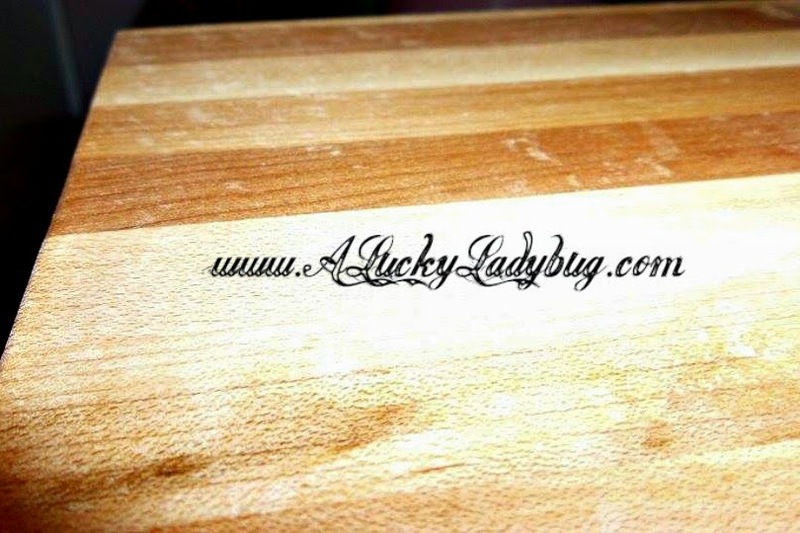 So when the opportunity to review a Weber wooden cutting board, I was pretty excited. I've been trying to up the quality of products I have in my kitchen as well as go for a more natural look throughout. The wooden cutting boards are just the way to do it! Handcrafted in Lodi California, the side grain square cutting board I was sent over to review is made of a thick (3/4") maple and cherry lumber. I LOVE this set as not only do I love the look of the wood but these boards are stylish and add a classic look to my kitchen. Even though you can not easily throw a bamboo cutting board into the dishwasher to clean I love prepping food using these as it seems to be so much better for my knives. This cutting board is great for more than just cutting. It's visually appealing unlike most cutting boards as it is something that you could even leave out on your counter for display OR use it to serve cheese and crackers to guests. The styles this brand offers are beyond unique and are something I constantly want to show off! I can definitely say these boards have not disappointed whatsoever. Recommendation: This is an environmentally safe product for a fantastic price that you'd pay more for anywhere else. You would probably even have to replace the "name brand" products more frequently because of how cheaply they are made! 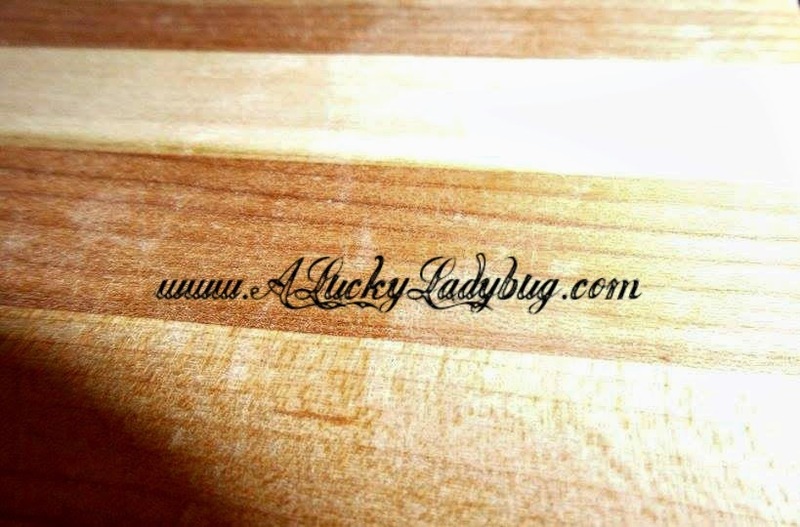 Giveaway: Weber is going to give one of A Lucky Ladybug's lucky readers a Side Gran Square Cutting Board of their own! I love cooking lasanga and chili for my family. I love making salads, my favorite are spinach salad and potato salad. I like to make salads. I make them very colorful and very decorative. They are so pretty that it is almost a shame to eat them. When I take them to potlucks, people think that I had them catered. What fun. I love to make Chinese food - especially Chicken Chop Suey. It's healthy, yummy, and there are so many options. This cutting board would be great for all of the veggie prep! Thank you for the wonderful giveaway. My favorite is meatloaf and scalloped potatoes. My favorite meal to prep is homemade raviolis! My entire family loves them! I like to make pesto recipes. I love making pot roast. It's easy and hearty. I love to make fried burritos. Its almost the best of both worlds, crunchy and soft. All you do is make a burrito and then toss it in the skillet for a couple of minutes. I love making fish and seafood dishes. I love making Fettuccine Alfredo! It's super easy using pasta and making a sauce from parm. cheese, cream cheese and milk! I love to make lasagna with homemade noodles. I like making gnocchi with crab sauce. It is super easy and everyone in my family loves it. My favorite meal is making eggplant parmesan, but only using the japanese eggplant I grow in my garden. I love prepping for Lasagna- I made it last night in fact. I love making anything that's easy. I love making stir frys with fresh veggies. I like to make homemade mac and cheese with breadcrumbs on top. My favorite food to prep is macaroni salad. I like to make tacos, not because they are fun to make, but because my family enjoys them so much. I sit out the fixins, and they all make their tacos a little different. My favorite meal to prep is salads. You can add so many wonderful ingredients to make it different all the time. I love to prep and make stir fry recipe's. My favorite to make is probably the Spicy Chicken stir fry. I like to make crepes on special occasions with fruits and cool whip. we are vegan i love to make veggie soup from scratch and veggies cooked or baked several different ways also like to make fajitas with veggies and black beans! I like to make chicken adobe and white rice, so easy and so tasty. I love making white bean chicken chili and let it simmer all day in the crockpot. I like making new types of pasta dishes experimenting with different ingredients and spices. My favorite meal to prep is our stir fry meals. We use a ton of different veggies and they vary each time we eat it. One meal might have snap peas, carrots, and mushrooms and the next might have carrots, water chestnuts, bell peppers, and and broccoli. It just depends on what we feel like mixing into it. It's a fun meal to make, everything is fresh, and we don't get tired of it because it's changed up all the time. I enjoy making several dishes on Sundays which include meatballs & eggplant parm. Yum! Crock pot ground turkey chili is my favorite. One of our favorites is tuna patties made with cracker crumbs and eggs and shape them into patties and fry them. I like prepping food for buffets I set up for company. I'll take three days to prep. On the first day, I may do something like boil up all the rice and noodles I will need. Simpler things get done and refrigerated on the first day. The second day I will start doing things like desserts baking, salad making, etc. On the last day, I put anything that needs to be put together together and baked/cooked. I like making Green Chile Stew with Pork. Lots of stuff to chop but then it just cooks for hours. Yummy. I like anything that is easy to prep, particularly my sausage and bean soup. I use a lot of boneless chicken breast when cooking. I love making Thai food. It is fun to try new foods. I think I make one of the best lasagnas. making chili for my family on a cold day. I love making chicken and rice. Maybe some roasted potatoes on the side..
My favorite meal to prep is chicken stew,,,so many veggies! I enjoy making Vegetable Lasagna! My husband is the better cook between the two of us but I like to be his "helper" and prep all of the ingredients for him. I enjoy baking more, and cookies are by far my favorite thing to prep for because of all of the different yummy things that can go in them. I like to prepare lasagna. My favorite meal to prep is my Jambalaya. I love chopping up the celery, shrimp, green peppers, onion and tomatoes. I like the way it begins to smell as it starts to cook as it always makes the kitchen smell so warm and inviting. I like to make a 7 layer salad which is colorful and tasty. Alot of chopping involved. Thanks for the Notifications - I always look forward to them. I love prepping made from scratch beef stew, its fun to do and the taste is incredible! 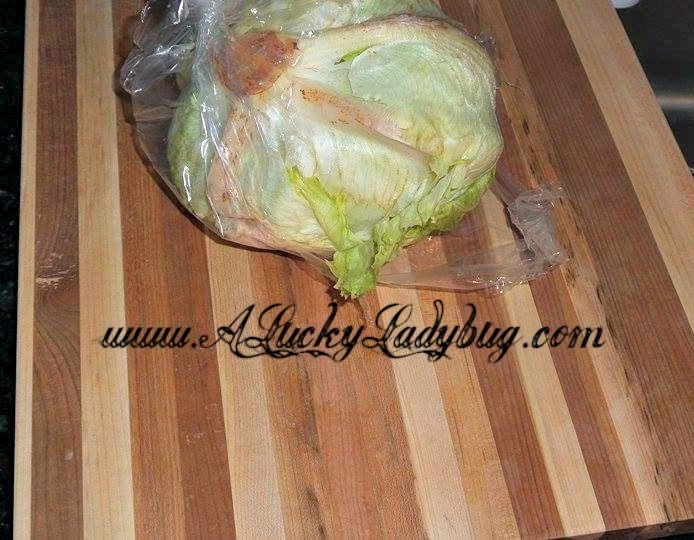 I always have to cooked stuffed cabbage for our family get together . I love prepping a nice pot of stew. Coarse chops and it pretty much cooks itself for an easy and hearty meal that the entire family loves. I love prepping and making vegetable curry with tie noodles. I can chop the vegetables when I have time, and then throw them all in a pan with seasoning 20 minutes before dinner. I like the spring style of background wallpaper. Looking forward to warmer times, and it cheers us up. Butter Chicken! I like compiling all the spices, the way everything smells as you prepare it, and then the fantastic smells as you cook it! I love using plenty of fresh herbs(grown myself!) in all of my cooking, and the way the kitchen smells makes me feel proud! I love making pizza, I find it fun throwing the dough in the air. Love to make smothered pork chops which is my family fave. I would say my favorite meal to prepare is meatloaf and mashed potatoes. i like making roasted potatoes. i like making potatoes from scratch and not frozen or from a box. I like to make lasagna for my family. We like to eat it with texas toast. Vegetable beef soup. With a sharp knife and a good cutting board, prep is a breeze and I like knowing that what we eat is healthy and fresh. As a family, we love to make homemade pizza. the kids love to make half of a pizza just for themselves with just what they want on it. We then have movie or game night. It's super fun. My favorite meal to prep is lemon roasted chicken with potatoes. It is delicious. The most favorite thing i love to prep is the veggies for potato soup. The potatoes, celery, onions, and carrots. I think your blog is pretty as far as I can tell. I love making a Fresh Salmon in the oven topped with Stove Top Stuffing! I love to make my own pizzas! It's so much fun. I like chopping veggies for my homemade spaghetti sauce and would love this beautiful cutting board to chop them on. Thanks for a chance to win it. I think my favorite meal is chili! It lasts us at least 2 days and my house smells wonderful and it's a hot meal whenever we want it! I love making one-pot pasta with asparagus, onions, mushrooms, tomatoes and garlic. So much chopping and sometimes I add more. But this meal is so delicious, it is worth it! I love making lasagna, casseroles and nachos. Thank You for the giveaway…we make a big pot of homemade soup every week, usually vegetable, and our daughters help us out washing the produce, peeling, chopping, etc....it becomes a family gathering where we have an opportunity to relax & talk with each other...and we love the resulting soup ! I love to prepare Lasagna. I love to make it with three cheeses.. I love to cook different kinds of pasta! I love the Platino Plus Slow Juicer & Sorbet Maker! I would give it to my friend because he would find it very useful.